1 Introduced overall picture of how the programme worked and what they would be doing each day. Reading an article to find answers to complete a crossword. This was met with excitement, but reality was they didn’t understand how crosswords worked. This had to be taught as whole class then small group. Word work : Crosswords, grammar book exercises, spelling games, boggle, spelling word practise, ipad games, phonics etc. Crosswords are spelling age related which get progressively harder. 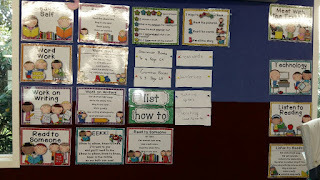 Grammar book exercises are taught as a class the previous afternoon and recapped very briefly before we start the cycle in Daily 5.
activities and games to do. Children need to think before asking for help. Read to Buddy Poem EEKK! Elbows to elbows, knees to knees, book in the middle so we both can see. 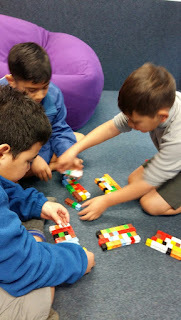 This was taught to Room 7, our buddy class and seems to be working well. Didn’t take long to teach skills and they are comfortable working with any student. Barrier: The amount of books we need to borrow from the library each visit. 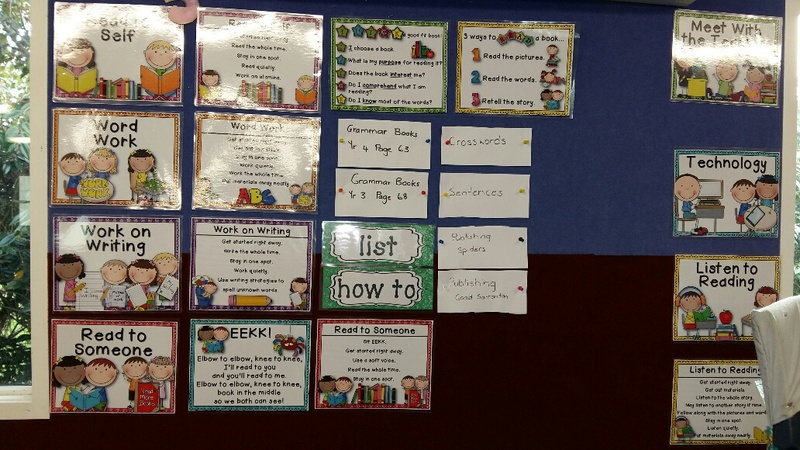 Skills are taught prior to what is needed as part of class writing programme. So far we have covered sequencing, a list, how to make something and a recount. Publishing for display. Barrier, spelling, handwriting, neatness and being able to understand what has been written. The writing is often difficult to maintain momentum with such various needs. Presently working on writing good sentences with full stop and capital letters. Spelling is a big problem. Started a daily 5 spelling words from same family this week, rather than 10 or 12 words at end of week. Have selection of books in class from library they can also use.